Workers and progressive forces in Britain celebrated May Day in the period April 30 to May 5, leading up to the May Day holiday of May 7. In so doing, they joined working people internationally raising their demands for their rights and interests and for a new society, which May First represents. Under the anti-social offensive of this neo-liberal capitalist system that prevails in Britain and throughout the imperialist system of states, the workers are affirming that there is an alternative, that they can do better, that they can have the confidence gained through their knowledge and experience at work to take charge of the economy and the governance of society. In sending their revolutionary greetings to the working people of all lands, they are affirming that they are capable of solving the problems step-by-step in society, and relying on all their own efforts can build a bright future for humanity. 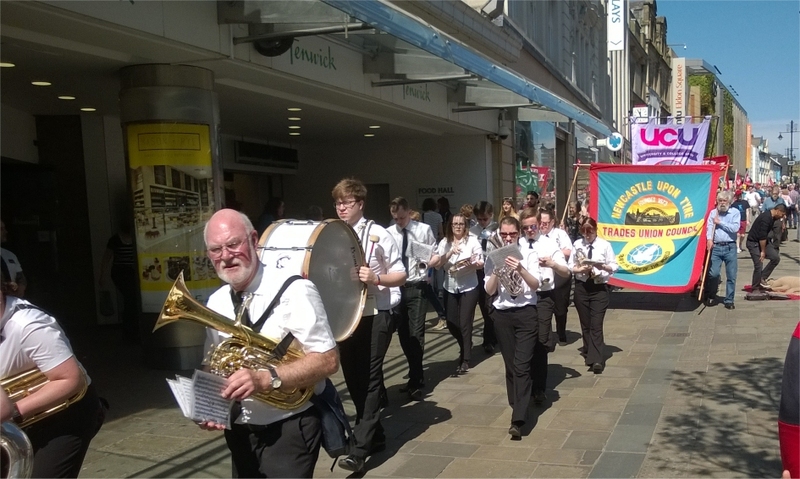 A May Day Rally was held in South Tyneside, an annual event which has been organised for many years without fail. The chair set the scene, saying that the working class adopts a truly internationalist perspective, and affirms the dignity of labour. There were speeches from Unison and Unite the union, particularly opposing the neo-liberal attacks on the NHS. And the entertainment and food were declared excellent. 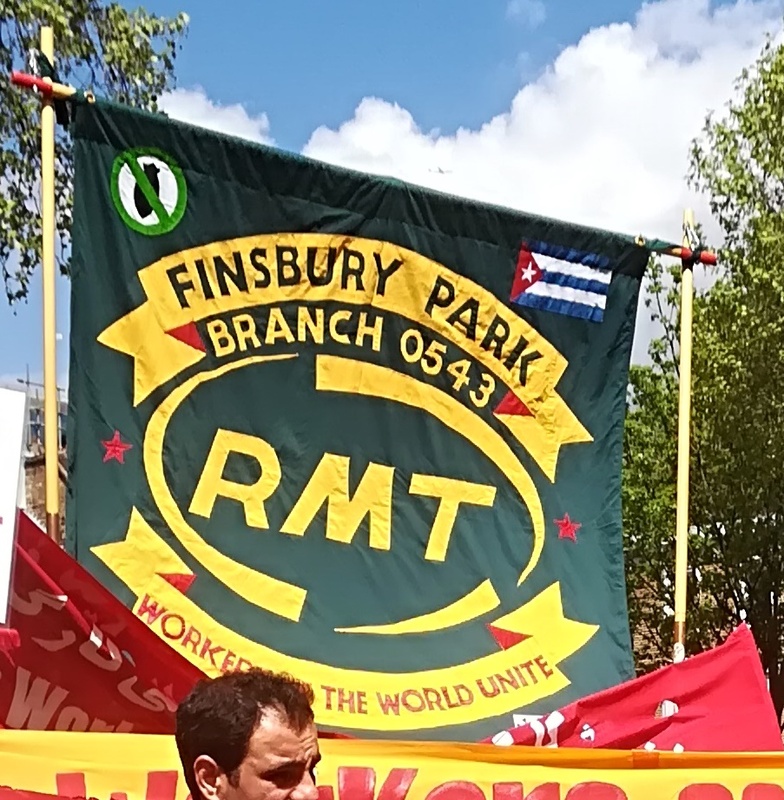 London May Day was celebrated by thousands of trade unionists, international communities, students and political parties and organisation. The march assembled on Clerkenwell Green, as customary, outside the historic Marx Memorial Library, which held an open day, particularly significant on the 200th anniversary of the birth of Karl Marx. 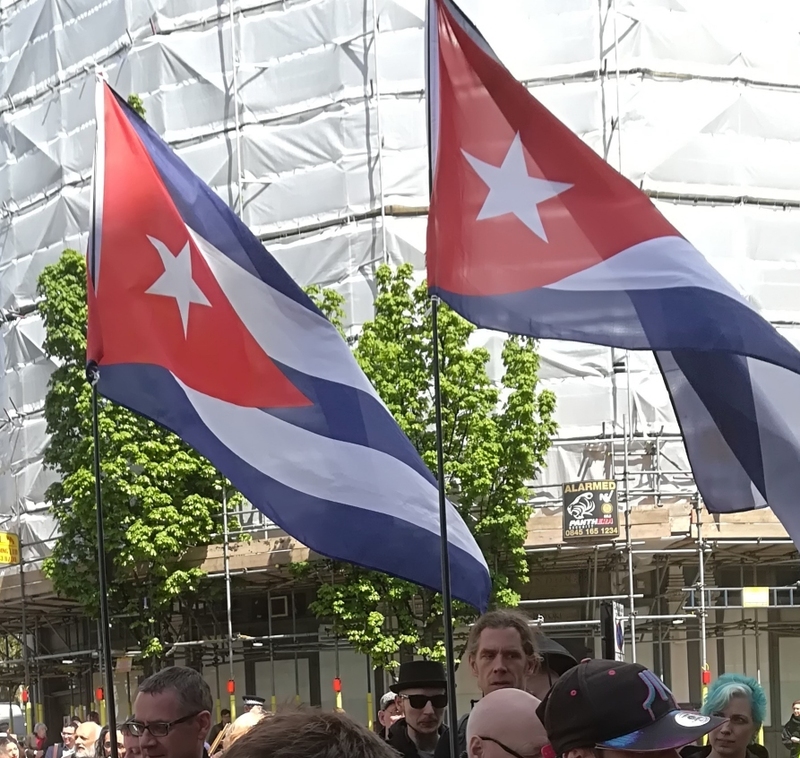 In glorious weather, with many red flags and colourful banners, the march snaked through central London, attracting the attention and support of many office and other workers, to a rally in Trafalgar Square. 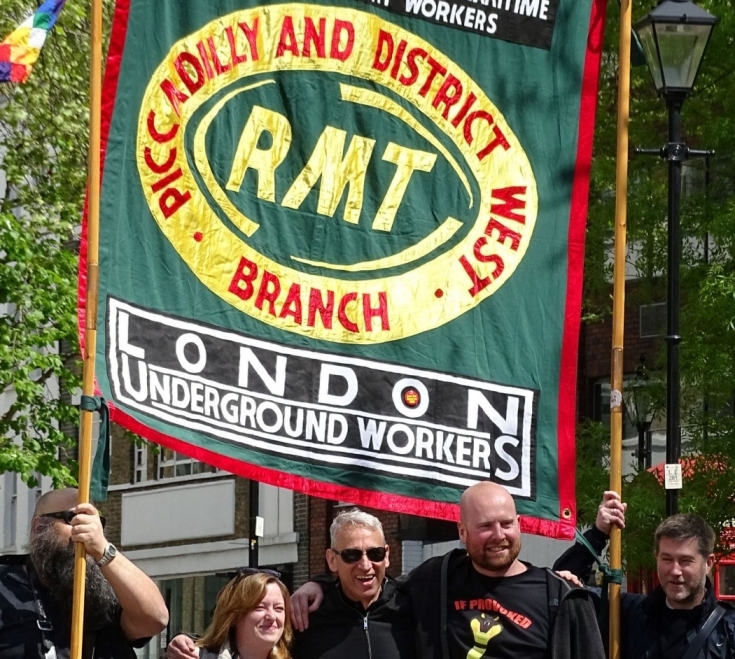 Contingents included those from RMT, ASLEF, TSSA, Unite, BECTU, Unison, PCS, CWU, POA and the FBU. 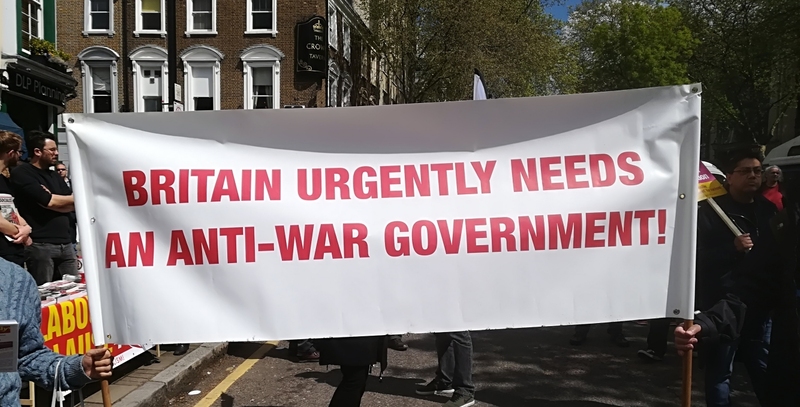 The contingent from RCPB(ML) marched with the banner, "Britain Urgently Needs an Anti-War Government". The rally at Trafalgar Square was addressed by speakers detailing some of the key struggles that they were involved in. 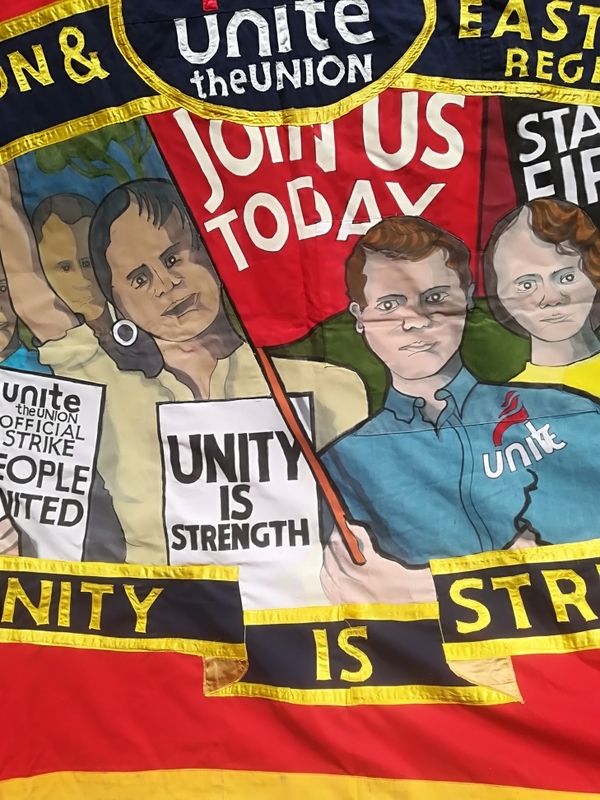 It was jointly chaired by representatives of the Greater London Association of Trades Councils (GLATUC) and the South East Regional TUC (SERTUC). The Birmingham Trades Union Council (BTUC) organised a successful May Day event, attracting almost 40 visitors. The event addressed issues from the struggles of the Irish people, as well as the fight to safeguard the public character of the NHS, and the movements in solidarity with workers elsewhere affirming their right to be the decision-makers. There was a high level of questions from the audience, enhancing the worthwhile nature of the event. 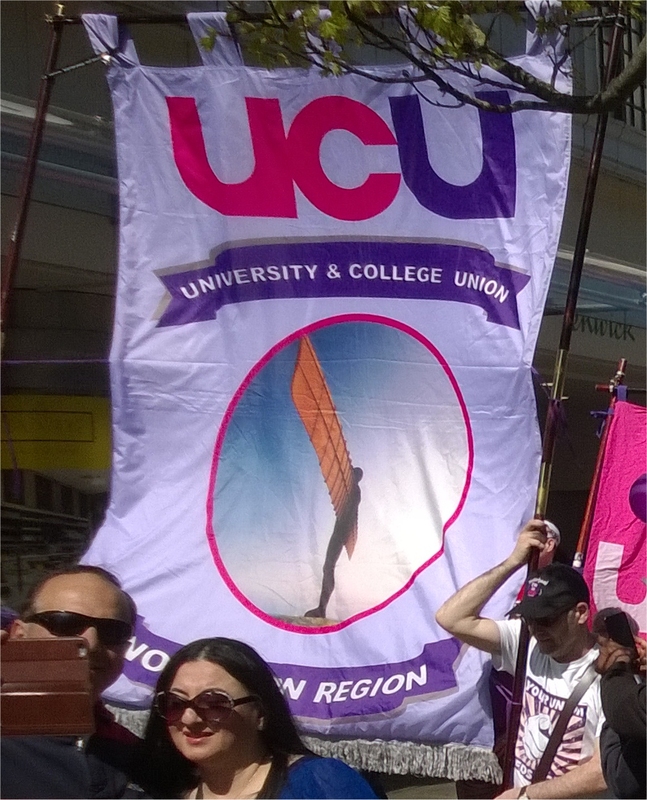 The Newcastle May Day event was a march of many activists and trade unionists, together with political organisations. The colourful parade, led by the Blackworth Colliery Band, started in Exhibition Park and made its way to the Monument in the city centre. It was organised by Newcastle TUC under the slogan: Rise Like Lions! The keynote speakers at the rally included North West Durham MP and Shadow Minister Laura Pidcock, who talked about the Labour Party's plans for reversing what was described as the Government's "twin attack" on trade union rights and social security. Her speech was very well received. Other speakers included representatives of the UCU and the Northern TUC.